The WinX HD Video Converter Deluxe is the first one which would support Multi-track M2TS, MKV, AVCHD, HDTV, BDAV and MPEG-TS and it enables the user to choose the desired audio language track with the audio video parameters which are editable for the users to customize the profiles. 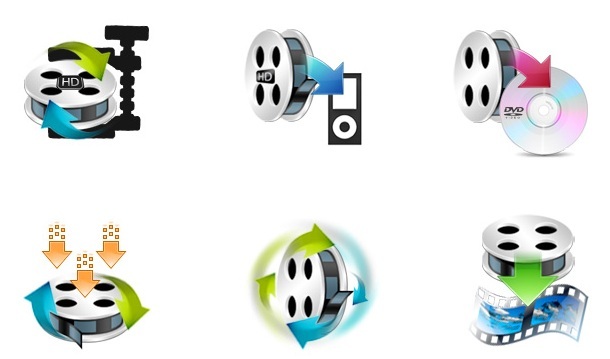 There are options for the users to convert MKV to AVI, MKV to MP4, MPEG, WMV, MOV, 3GP and also download the videos from Youtube and convert them into different formats. The software doesn’t end its functionality to just downloading and converting, but provides options for even editing the videos and changing the parameters of them. All video/audio parameters are customizable for you to balance video quality and file size, including video bitrate, video resolution, frame rate, etc. The trim video option would let the users trim / cut the video at particular points and make it into segments by mentioning the start and end time. Crop video would help you crop and remove any black edges and borders that were being made due to the smaller video sizes. Auto Fix Incorrect Data – This feature would autocorrect any wrong video data and continue with the smooth video conversion process. MKV to iPhone/ iPad, AVCHD (MTS/M2TS) to DVD. Check below for the giveaway of the WinX HD Video Converter Deluxe, each license worth $35 and 15 licenses are up for giveaway, thus you have many chances of winning the software license for free. Remember, this is a lifetime license which you would win. The software is for Windows OS version.